Coca-Cola is also one of the most succesful companies and world’s most popular brand. Nothing can be so much a part of popular culture and everyday life, without sparking curious minds. Since the early days of the brand, people are especially fascinated by the Coca-Cola Company’s top-secret recipe for Coca-Cola. The true source of Coke’s unique flavor lies not in the coca/cola combination but in a special mix of oils and flavorings, including the mysterious ingredient known as “Merchandise 7X”, which no outsider has yet succeeded in identifying. 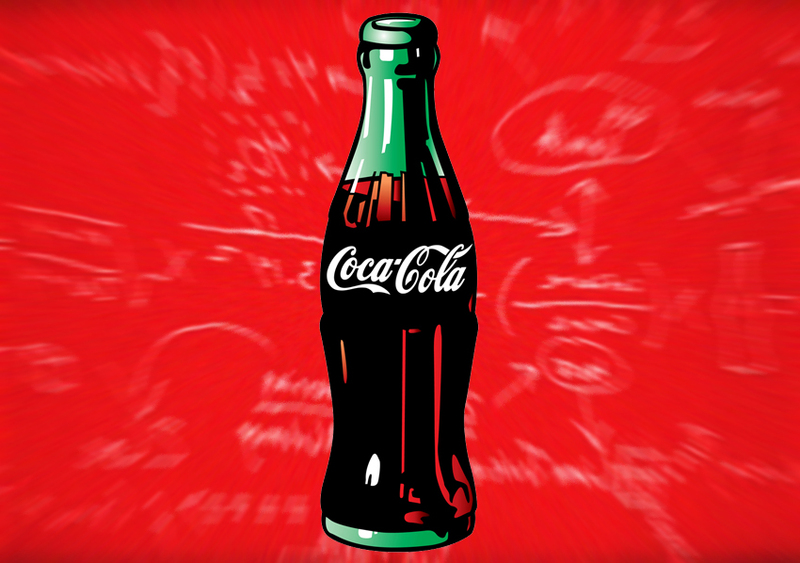 Coca-Cola’s formula is without a doubt one of the most closely-held trade secrets in modern business. Coca-Cola Argentina just released the animated commercial “Hidden Formula”, a funny take on Coke’s extremely valuable secret. Written, art directed & produced by Santo Buenos Aires for Coca-Cola Argentina, the TV & cinema spot reveals all about the secret secrets of Coca-Cola hidden formula. Enjoy! A shiny red can that reads “Coca-Cola” and a whole list of ingredients: carbonated water, sugar, caramel, phosphoric acid, caffeine and natural flavorings. 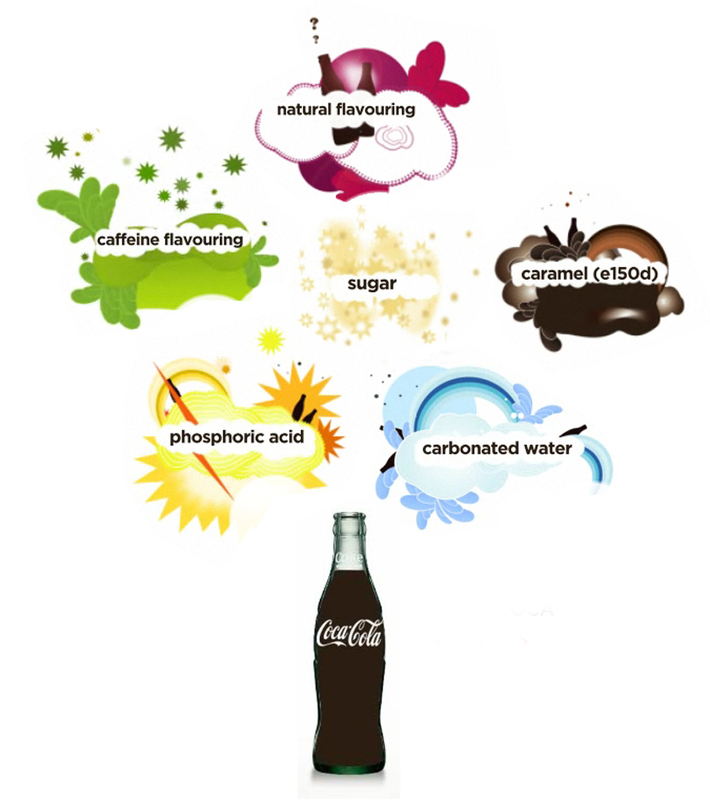 Coca-Cola is all about the magic of good taste & flavor – and apparently something highly secret. The natural flavorings are a unique blend of vegetable extracts and spices from around the world. Coca-Cola has never told what the 7 secret ingredients are, and this “Merchandise 7X” has remained the world’s most famous trade secret since Coca-Cola’s invention in 1886. When John Stith Pemberton sold the first glass of Coca-Cola in his pharmacy in 1886, he was entering a new market for soda fountain tonics that promised health benefits along with refreshment. 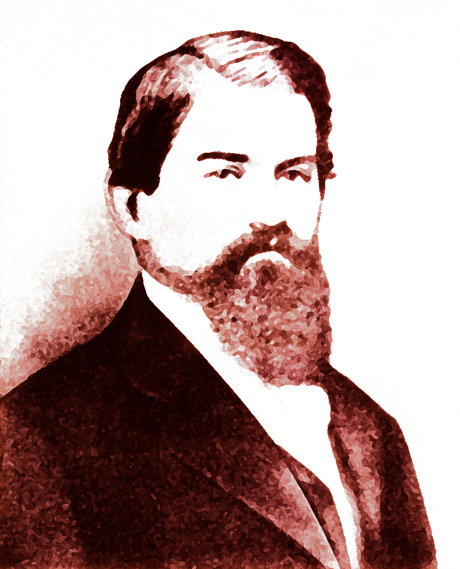 In 1869, Pemberton already experimented extensively with extracts of the coca leaf and kola nut, initially marketing a moderately successful health drink called “French Wine Coca.” Fifteen years later, one of Pemberton’s partners, Frank M. Robinson, invented the name Coca-Cola, derived from its central ingredients. 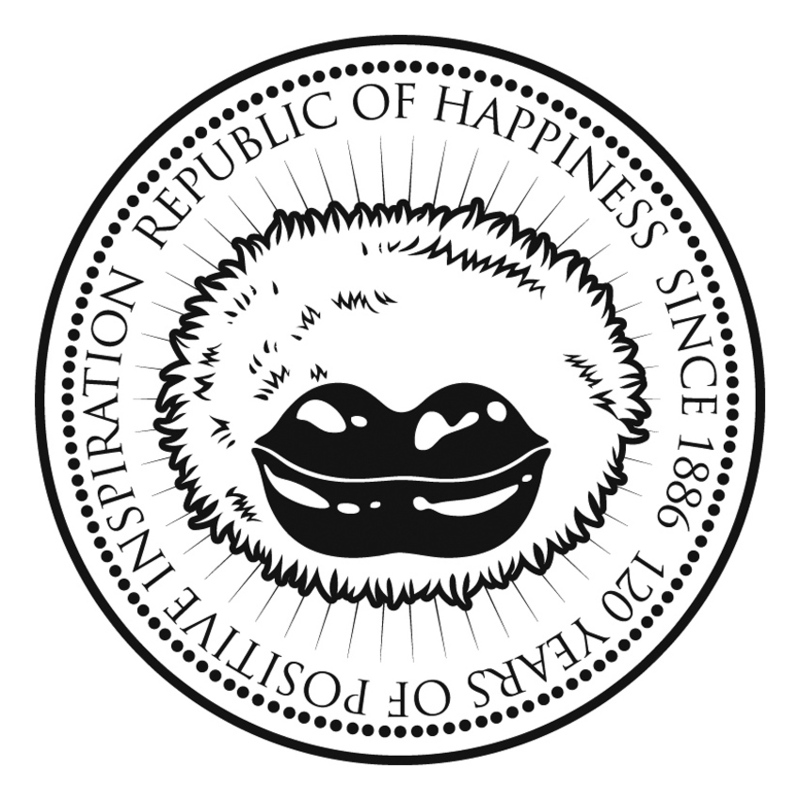 Robinson also registered the product’s famous script logo. A marketing phenomenon was born. 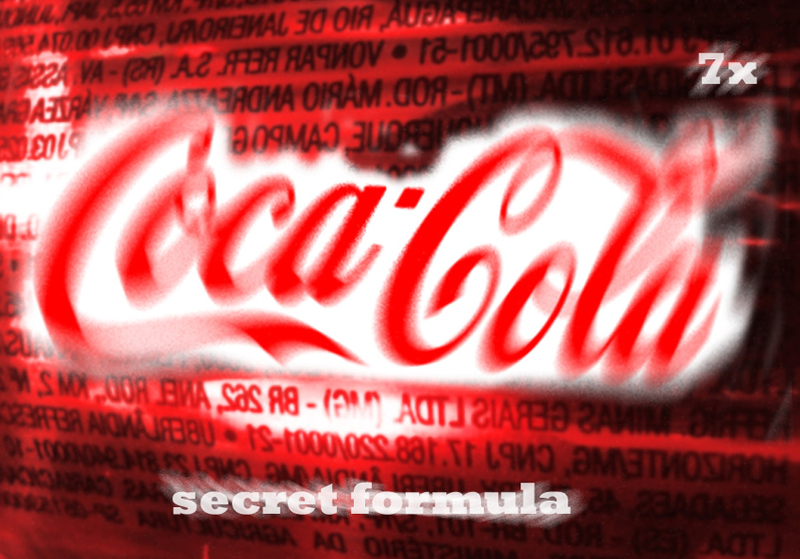 From that day on, there has always been a mystique about the “secret formula” of Coca-Cola. Folklore even said that the original beverage contained cocaine, at least until the “Pure Food and Drugs Act” was voted in 1906. The official position of the Coca-Cola Company, however, is that the drink contained extracts of the coca leaf, but never the drug. Over the years, the Coke’s attorneys have fought in court to protect Coca-Cola’s secret formula. It’s been said that the ingredient list is kept in a security vault in a bank in Atlanta, Georgia and only a few employees know the full recipe, and those employees are not allowed to fly on the same plane and cannot be left alone with strangers while they are together. Over the years, Coca-Cola’s secret formula has been the subject of books, speculation and marketing lore. But the real “secret ingredients” reach far above vegetable extracts or spices. Coca-Cola’s true magic is all about love, perspective, universality, friendship, purpose, humor and optimism. It’s a way of living spontaneous & finding happiness. It’s the belief that together we can create a more positive reality, where global love and joy rule supreme. The current global “The Coke Side of Life” advertising campaign invites people to live in full color and listen to their hearts. 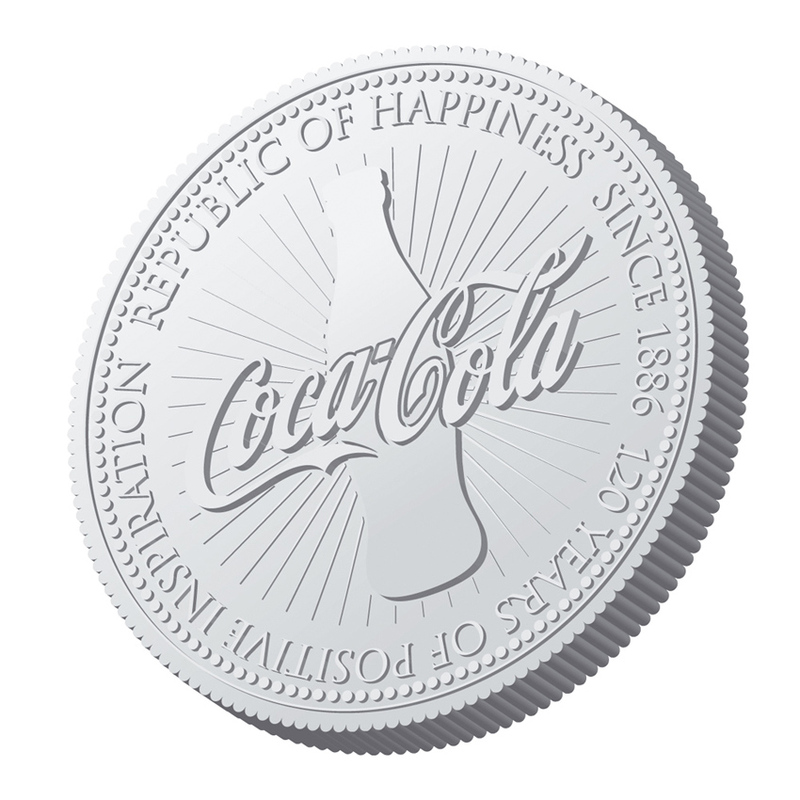 The “Coke Side” is the positive side of life and focusses on universal experiences. Coke is probably the most famous cultural icon that links people from all-over the world. At its core, the concept of sharing is the purest essence of Coca-Cola. Drinking a Coca-Cola brings people from different nationalities, cultures and walks of life together. “The Pause that Refreshes” is a universal language and global connector, happiness in a bottle. 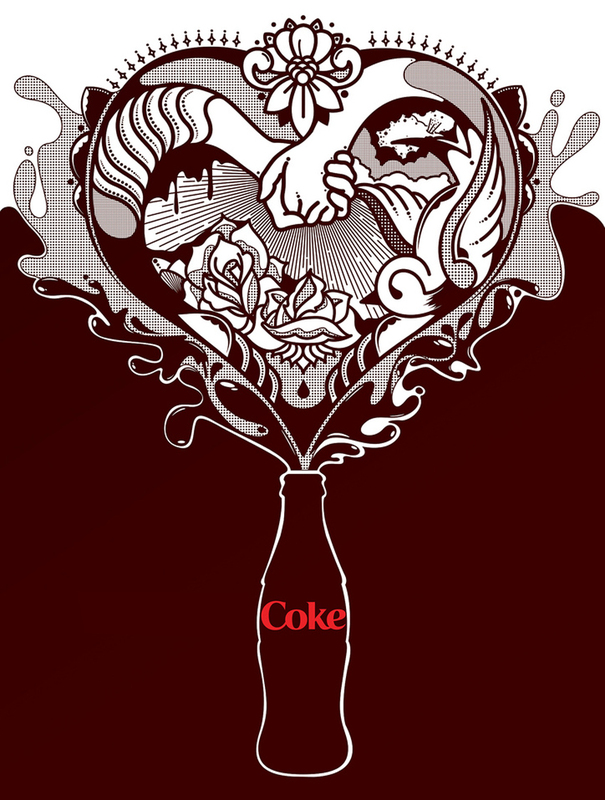 Coca-Cola Remix Art: “Universal Love on the Coke Side of Life” by Yker Moreno / DJ Spinbalon. “Money makes the world go around. A mark, a yen, a buck or a pound, that clinking clanking sound can make the world go round”, sang Liza Minelli & Joel Grey in Cabaret. 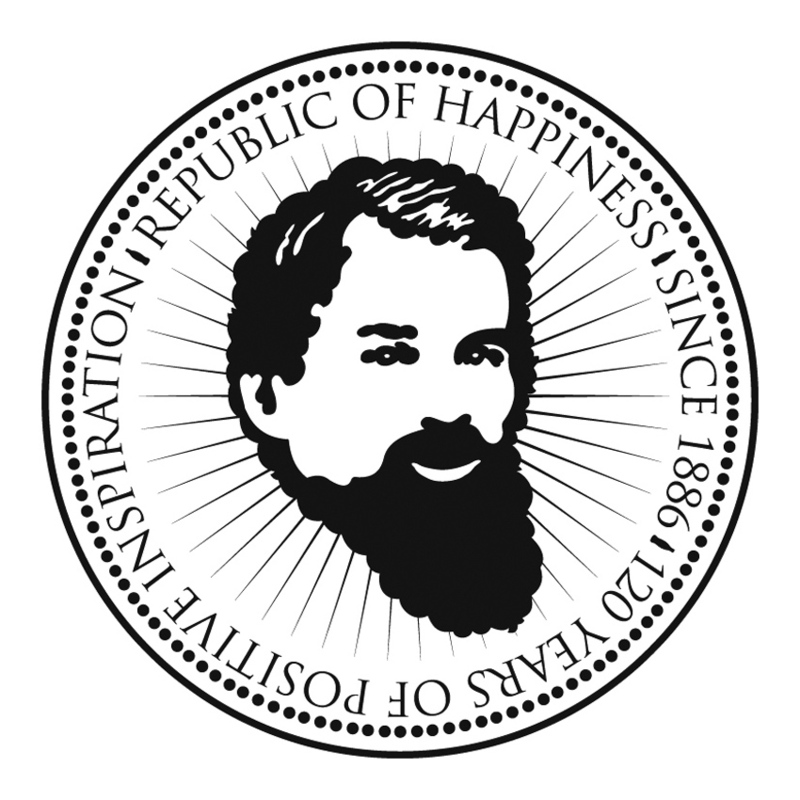 Coca-Cola Republic of Happiness Since 1886 – 120 Years of Positive Inspiration. Coin starring the Kiss Puppy. 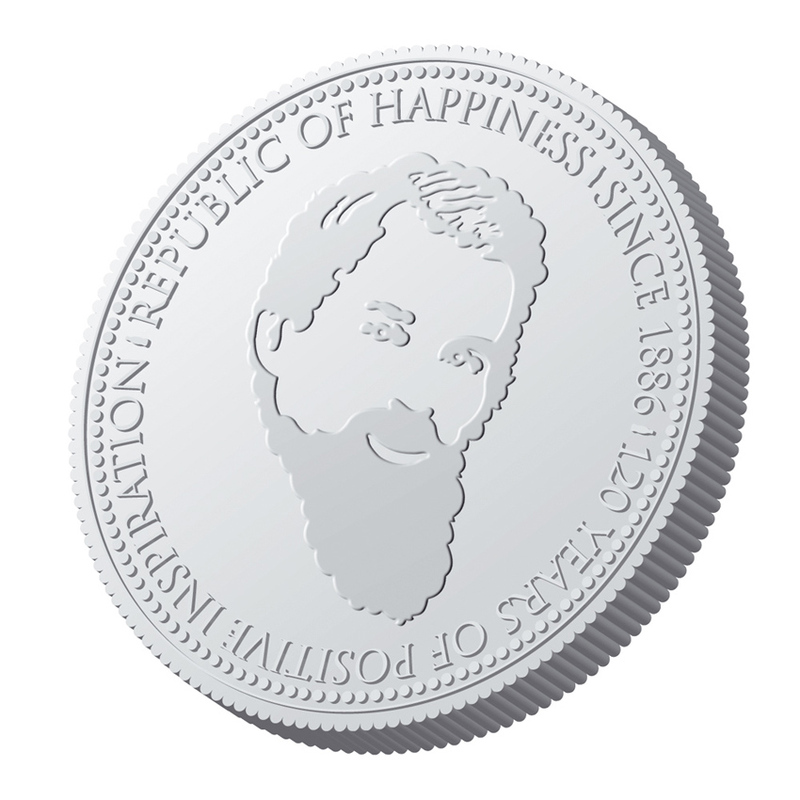 Tribute to John Pemberton, inventor of Coca-Cola. 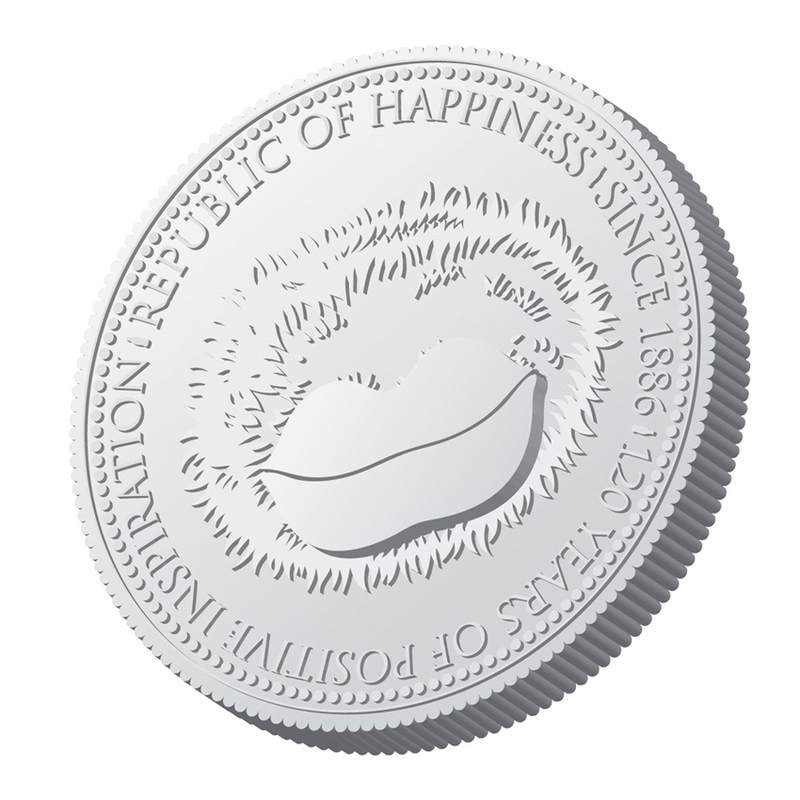 Limited Edition of Happiness Coins for Coca-Cola’s Global Meeting 2006, Istanbul. Design by RockAndRoll Agency. 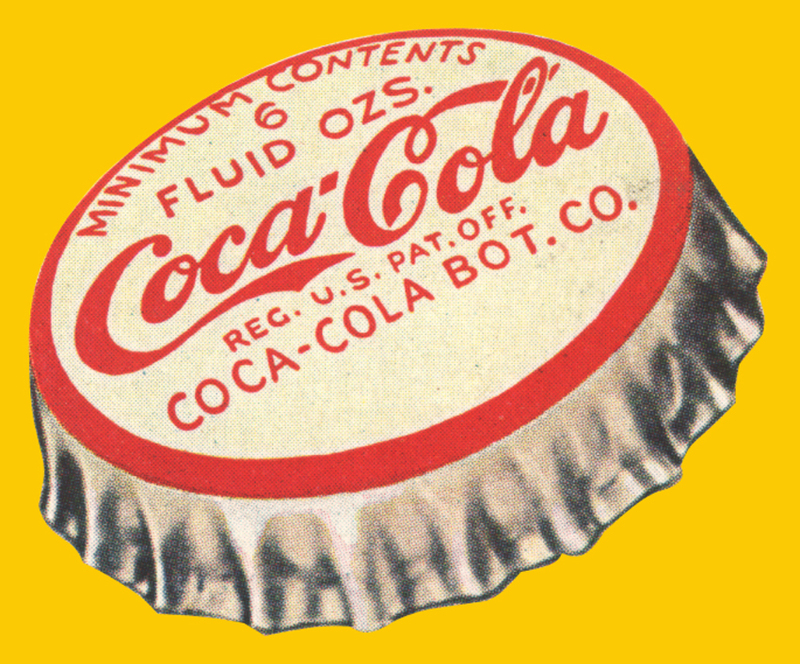 The name “Coca-Cola” was a suggestion by John Pemberton’s bookkeeper, Frank Robinson. Frank Robinson also had great penmanship. He was the artist who created by hand the unique flowing script that became the powerful Coca-Cola logo that we all know today. Robinson also pressured Pemberton to engage in important advertising promotions, giving away thousands of free drink coupons and plastering Atlanta with publicity banners and streetcar signs to promote the brand. The (for those days) extravagant advertising budget paid off quickly, helping Coca-Cola to become the most popular local beverage brand. John Stith Pemberton was born in Knoxville, USA. He studied at the Medical College of Georgia and later obtained a degree in pharmacy from a school in Philadelphia. In 1855, Pemberton moved to Columbus, Georgia, with his wife, Anna Eliza Clifford Lewis, and their only son, Charles Ney Pemberton. 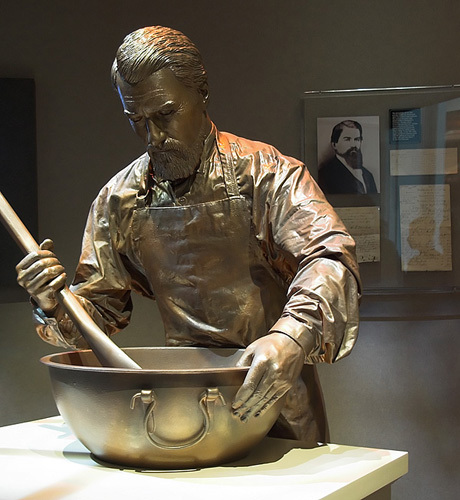 Here, he practiced primarily as a druggist for fourteen years, though he also performed other medical procedures. In May 1862, Pemberton enlisted as a first lieutenant in the Confederate Army. For five years after the war, Pemberton worked as a partner with Dr. Austin Walker, a local and wealthy physician. During this time, Pemberton invested all of his money in researching and developing a line of proprietary items, which included perfumes and botanical medicines. During this time, there was a large demand for home remedies and tonics in the United States, especially in large cities. In 1869, Pemberton moved to Atlanta to start a lucrative business. He developed, and successfully sold, a drink he called “French Wine Coca.” Based on a similar European product called “Vin Mariana,” Pemberton’s tonic combined wine and the extract from coca leaves. Coca extract was commonly used at the time in medicines. In 1885, with talk of Prohibition, Pemberton developed a drink without alcohol. Pemberton added the extract from cola nuts, a strong stimulant containing caffeine, along with the coca, and he replaced the wine with sugar syrup. On May 18, 1886, Pemberton decided on a final formula for his new drink. 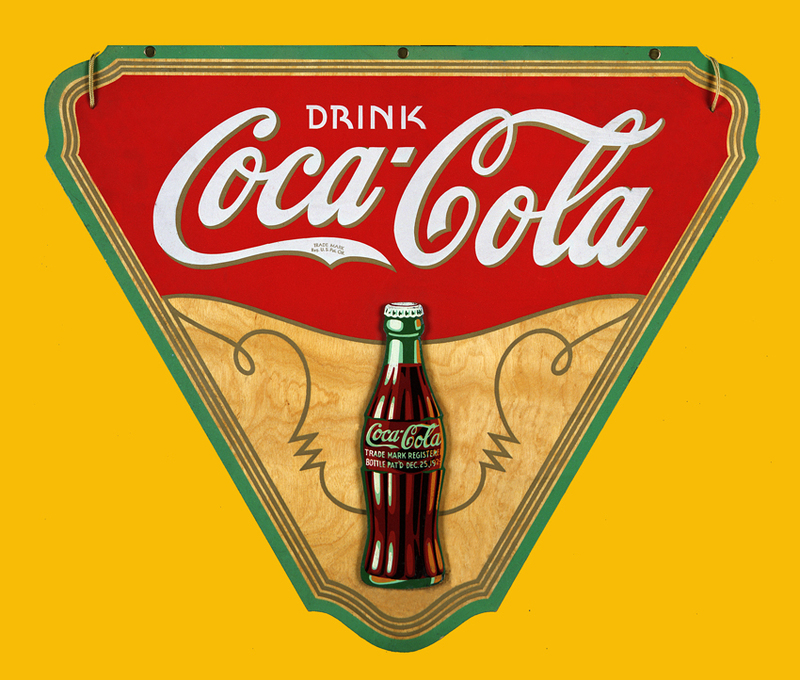 On June 28, 1887, the Coca-Cola trademark patent was granted. Jacobs Pharmacy, in Atlanta, Georgia, was the first place to serve Coca-Cola from a soda fountain. The coca extract was eventually removed from the drink in 1905. Pemberton’s financial troubles led him to sell, trade, and give away portions of his company to various individuals. Pemberton died on August 16, 1888, of stomach cancer, leaving behind many unfinished formulas. Coca-Cola eventually became one of the most prosperous businesses in the US. Source: Pemberton, John S. Biography by Delores C. S. James.